It’s October! And that means that the main UAE wedding season is officially underway. After months of seemingly endless heat and humidity, things are becoming more bearable and outdoor venues are preparing for an influx of couples who all want to say ‘I do’. 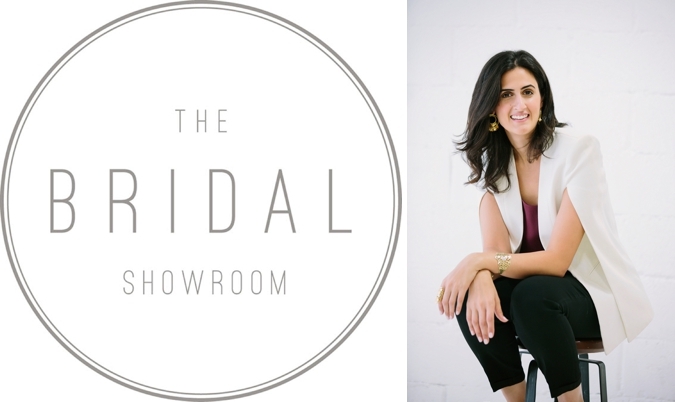 Looking forward to the upcoming season, we spoke to Diala Abu Issa, owner and chief buyer at The Bridal Showroom. 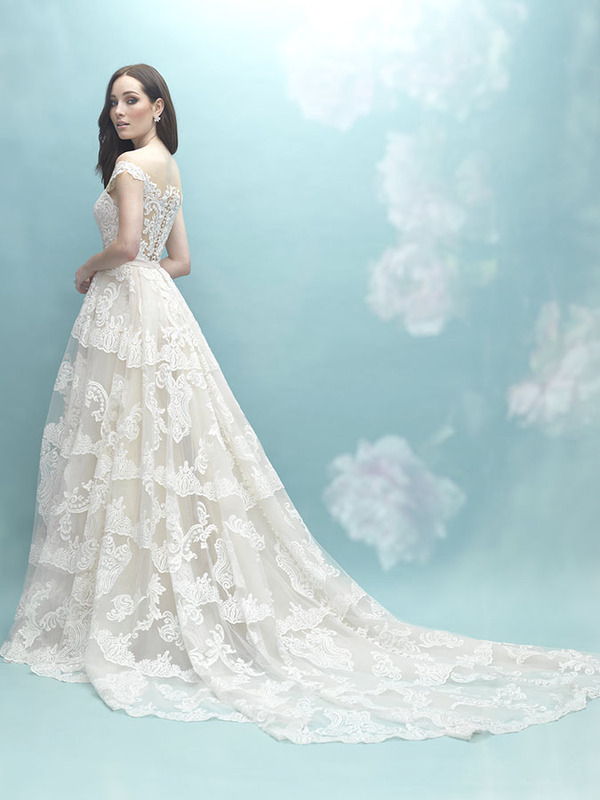 Below, you can discover some of the exciting designers that The Bridal Showroom carry, and how Diala has witnessed and adapted to the inevitable changes in the UAE wedding market over the last five or six years. Enjoy! Above: Diala Abu Issa, owner and chief buyer at The Bridal Showroom. As The Bridal Showroom prepares to celebrate its sixth year as one of Dubai’s most loved boutiques, how do you feel the bridal style in Dubai has evolved since your launch in 2012? Simpler silhouettes, especially mermaids, were very much in trend back when The Bridal Showroom opened its doors in 2012. When Kim Kardashian got married in a Givenchy customised gown by Riccardo Tisci, the silhouette was extremely popular across nationalities. Strapless was also very popular back then. Then came the Lebanese designers such as Elie Saab, Zuhair Murad, and Saiid Kobeisy who have stolen the limelight, setting trends across the region. 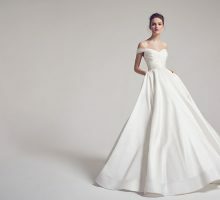 Ball gowns, long trains and embellishments are very much back, and we have seen celebrities opting for the ball gown, such as when Camila Carril chose Ashi Studio cone ball gown, a Lebanese design house. Miranda Kerr’s wedding dress, which was designed by Maria Grazia Chiuri for Dior, was also a stunning ball gown masterpiece with long sleeves. Today, sleeves, whether off-the-shoulder or full are in high demand. Our focus is all about the feeling she gets when she walks into our boutique. We are always on the hunt for the best training for our consultants, the best boutique ambience and the best in designer selection. We are always walking around as a team wondering how we can better our store experience. 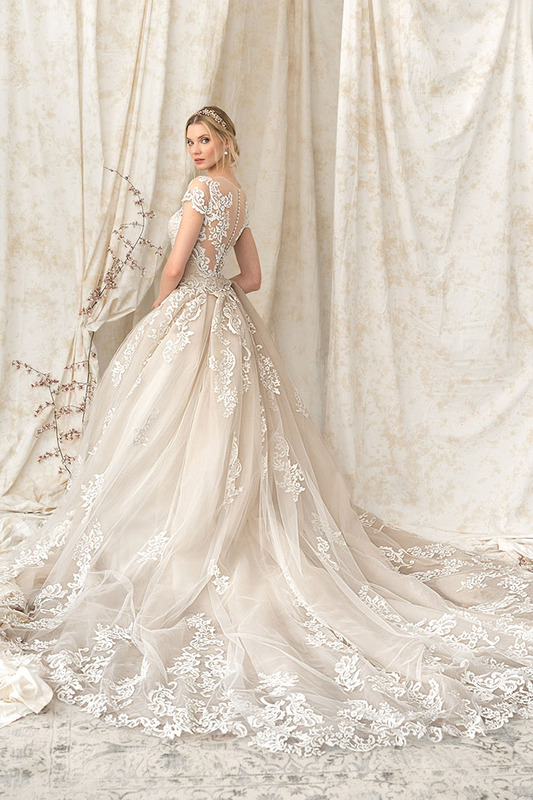 The focus is not just on the dress itself but on “her journey towards finding The Dress”. Tell us more about 2017, with the launch of Alterations Atelier and your two popular lines ups of dresses, Modern Princess and Dreamer. Our Alteration Atelier has become very popular. We are helping brides who have bought their wedding dresses elsewhere but would like us to make the alterations. With a new team of wedding seamstress specialists, they are in safe hands. We are so excited to welcome Saiid Kobeisy to our lineup. It will truly bring an exciting feature to our collection. You introduced a ‘Redeemable Consultation Fee’ in April 2017. How was it received by your brides? It took me a year of thinking and rethinking and more thinking until we finally decided to implement the Redeemable Consultation Fee of AED 200 for first time fitting appointments. Most brides have been very welcoming of the idea and have been very understanding. It has allowed us to give them more of our time and focus and they are loving it! Those who were reluctant have been coming in to see the collection before deciding whether they want to proceed with the consultation. There are many reasons why we introduced this fee. As Dubai’s most loved bridal boutique we experience high volumes of customers, some with no intention of buying from our store. 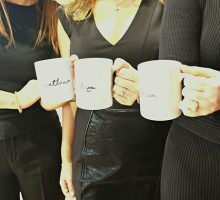 Some examples are brides taking our consultant’s 90-minute fitting assessment to then shop elsewhere, brides looking to try on gown designs to take to their dressmakers and some who just want to have the shopping experience with their friends. We are very happy with the implementation of this fair, honest and clear policy. 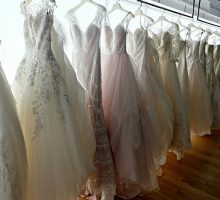 The recurring theme in your hand-selected collections is to bring in new bridal designers that are international hits. What made you decide to do this? I really want to bring the best to my brides; a big selection and the choice they deserve. For that reason, as of FW2017, we will be focusing solely on wedding dresses and accessories. This will help us bring a bigger selection and take the risk in getting what no one has in this part of the world. 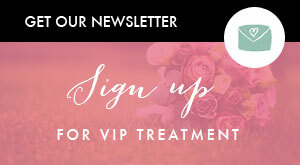 Every bride has the right to express herself on her wedding day and we want to make it happen. How would you describe your #TBSbride in 2018? Thank you Diala! 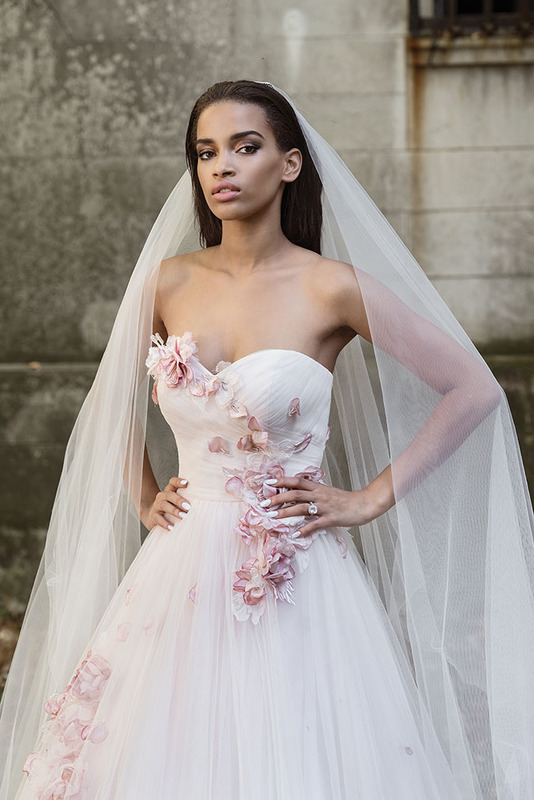 To learn more about The Bridal Showroom, you can visit their website here.